How do you raise in-store sales of a deli meat and cheese brand, without employing the standard old-lady-in-a-hairnet-sampling tactics inside the grocery store? Department Zero was tasked with creating a local market activation program to raise general awareness, trial and sales of premium Charter Reserve deli products. 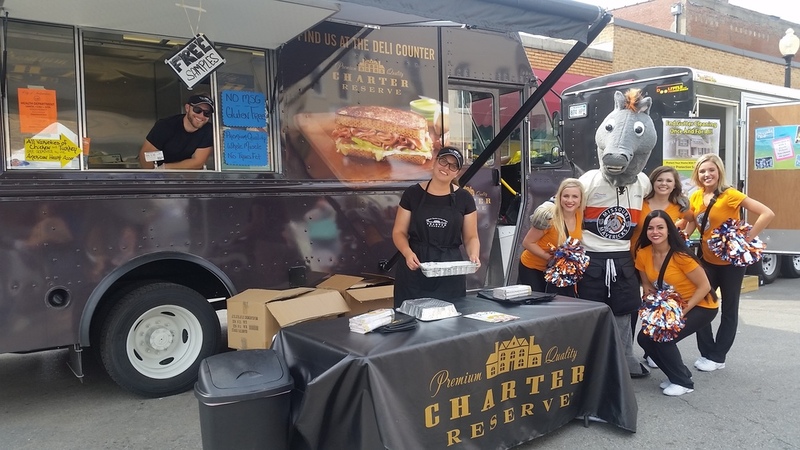 The resulting food truck sampling program visited 29 stores, 9 major events, and handed out more than 28k individual samples and 12k coupons in just 5 weeks. Department Zero worked with Barkley, Charter Reserve's ad agency, to put together the retail and event activation program.